LIGHT AT THE END OF THE ……………..
Light at the end of the day. Having a wonderful warm and dry few days. Getting fitter [and bored] on my cycle trips round the local lanes. The highlights yesterday were lambs frolicking in the fields, no doubt invigorated by the warm sunshine. Felt I had to turn down a climbing [or social] trip to Giggleswick today as I didn’t think I could manage the walk up never mind put a pair of rock boots on. The day turned out beautiful and sunny! 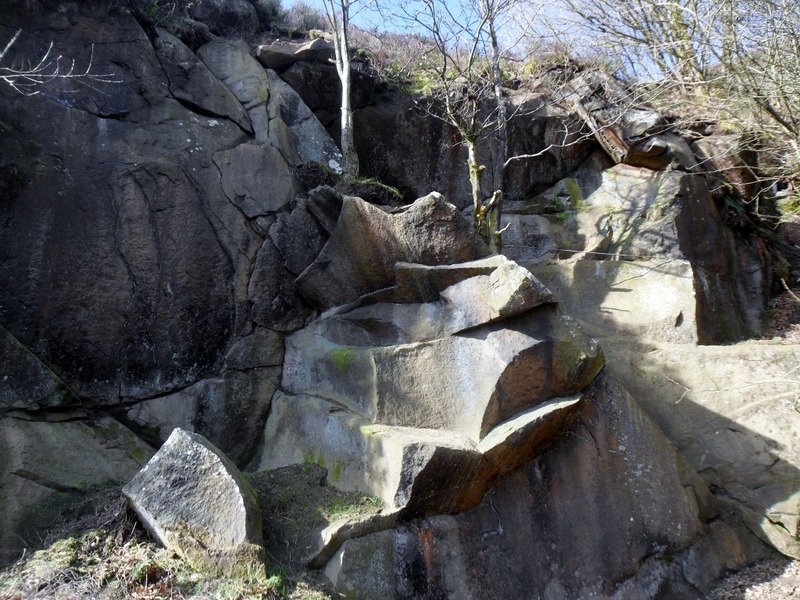 Pleased therefore to get a message from Robin suggesting a visit to Cronshaw Quarry on Longridge Fell in order to check out further bouldering possibilities. 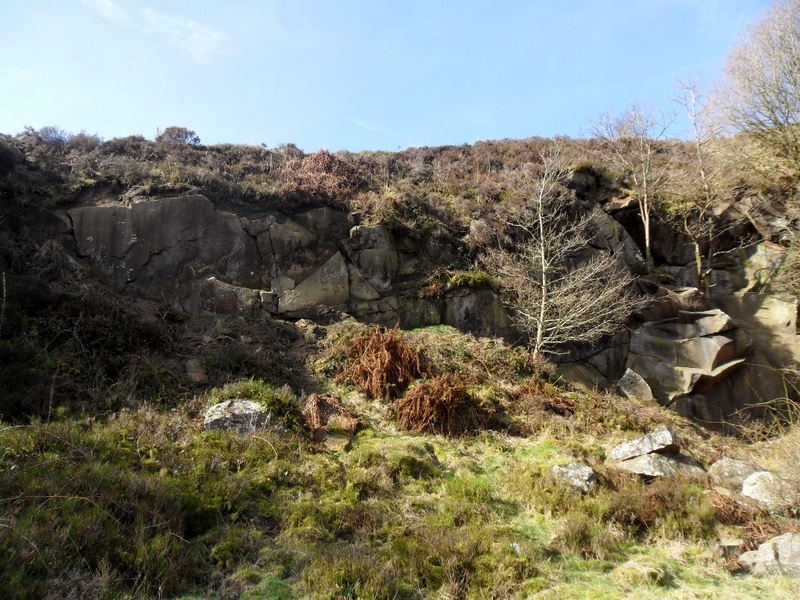 Went along really in a supportive capacity – providing an extra bouldering mat, encouragement and spotting, This hidden old quarry is actually a pleasant spot for a few hours bouldering, especially on a lovely day like today. Robin soon had dispatched a couple of traverses and the route up the right arete. All looked hard. Up to now I had been happy just to be out in the sunshine but the nagging started in my mind and soon I was tentatively pushing my painful, scarred left foot into a rock boot. A few little excursions onto the rock proved relatively painless – the second eureka moment in a week – not only can I pedal a cycle but I can attempt, in my modest way, to get back on the rock! Other problems for another day were spotted, may need a bit of Spring cleaning! All of a sudden I am reactivated and feel the batteries recharging. On the way home even pop into Craigy for a chat. 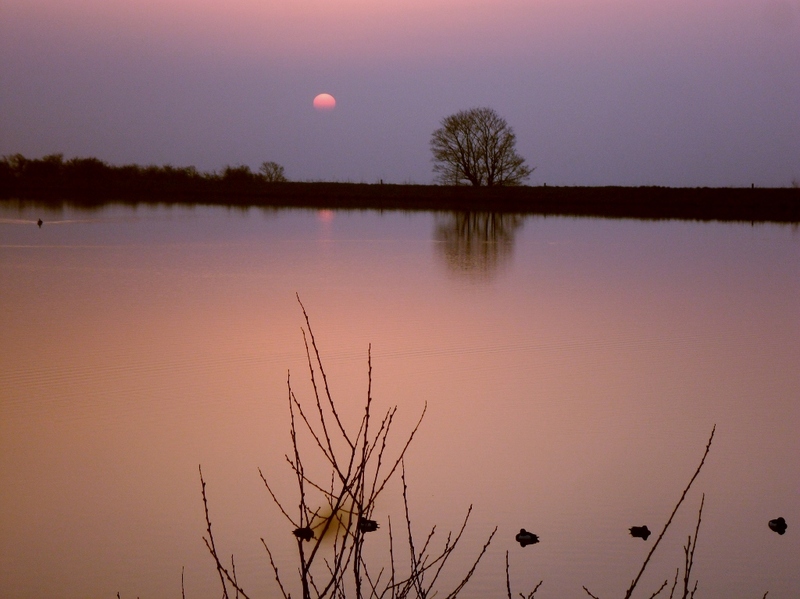 Just miss out on photographing a really spectacular sunset over the reservoir. So there is light at the end of the day and more importantly at the end of my particular tunnel. 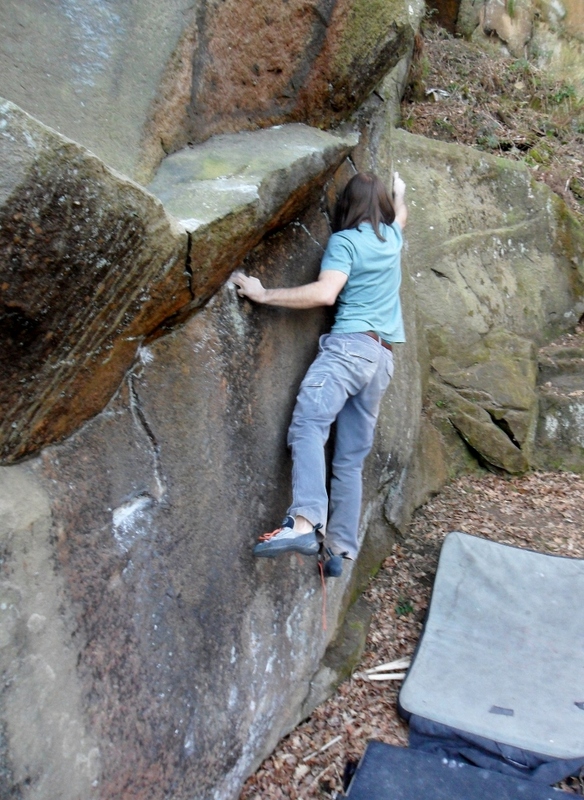 This entry was posted in Bouldering, Longridge Fell and tagged Bouldering, My left foot. on March 12, 2014 by bowlandclimber. Good news John. I hope the progress continues. Is that a new kind of self imposed handicap for the machos, doing E grade moves with the shoelaces undone? Well spotted Conrad. I would have had to tie his shoes together to slow him up. I’m suffering today,as you can imagine, for the toe squashing. Not even 15 minutes of fame.